In the advertising business, we name things. It’s just the nature of the beast. However, after years of naming companies, product lines, services, and of course naming children, I am often bemused, baffled and befuddled when people tell me how little a name actually matters. “The name is just the words our customers write on their checks” people have told me. When I hear that, I usually nod and ask to be paid up front. While the evidence is overwhelming as to how much names do matter, perhaps it would be instructive to use a classic case of ill thought out naming to demonstrate how bad it can get. Welcome to the sad but true tale of Ayds (pronounced “aids”). It apparently seemed to the manufacturer that the name was so brilliant that it was not overly researched. But then came the problem of how to identify what “ayds” actually was. That generic identifier line went through many public iterations. 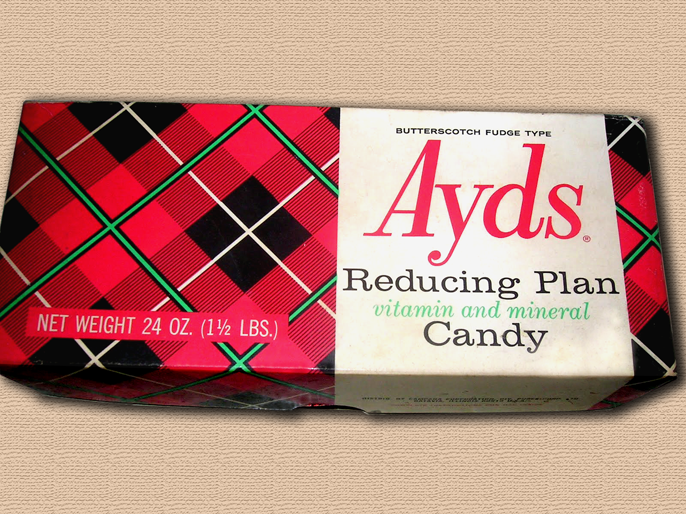 Ayds was called a “diet candy,” “an appetite suppressant candy,” “an appetite reducing candy,” and a “Reducing Plan Vitamin And Mineral Candy.” But in the end, it was the name itself that finally killed the candy. My grandmother bought a box once, and since she was from the South, she pronounced it “A-yids.” A regional mispronunciation compounded by the spelling of the name itself. But that was a minor problem which they were able to counteract by spending millions of dollars annually in TV advertising. For much of the 70’s and 80’s, it worked. Then the scourge of AIDS (Acquired Immune Deficiency Syndrome) struck the nation and the world. The death knell came in the ghostly visions and skeletal bodies of victims of the disease. By 1987, Ayds was pulled off the market.